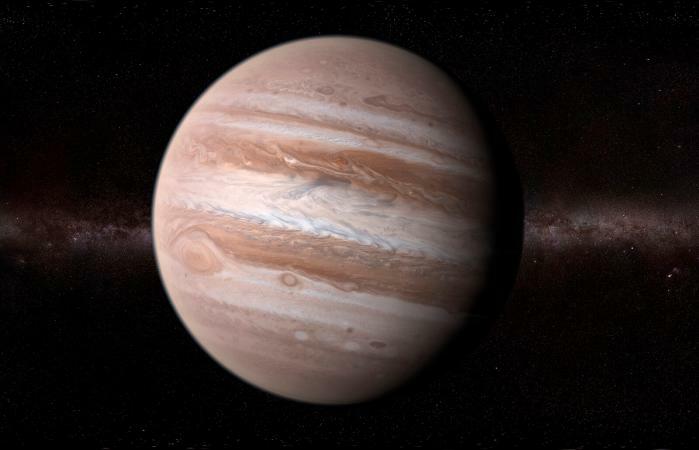 Jupiter is the planet associated with Sagittarius. The Sun is in Sagittarius from about November 22 - December 21. That's the jolly time of year when you spend so much time thinking about giving to others. Jupiter is sometimes called the cosmic Santa Claus and the giver of gifts. It signifies the drive you have toward joy; what things have the potential to multiply in your life and where your successes are likely to be. Jupiter is the fifth planet from the Sun, the largest planet in the Solar system, and is known as astrology's grand benefic. Jupiter rules Sagittarius and governs the 9th house. Its symbol or glyph (♃) is said to be a scepter, a symbol of sovereignty. Jupiter is a social planet and unlike the Sun, Moon, Venus, Mercury, and Mars, it is not part of your personality, it affects your personality. Jupiter governs expansion, development and promotes the growth of your body, mind, and spirit. At its most basic Jupiter in a birth chart is the urge for self-improvement through participation in the larger whole. Jupiter is the optimist, the visionary and the philosopher in you. It's your sense of adventure as well as your joy and laughter. Jupiter brings you luck and prosperity. However, Jupiter can also be lazy, indolent, excessive and hedonistic. Almost everything Jupiter represents, joy, fun, optimism, happiness, good fortune, etc., are what you want in a relationship. Jupiter is often short shifted in relationship astrology. However, when astrologers do analyze Jupiter compatibility, they look most often to the partners' Jupiter houses and at the aspects made from one person's Jupiter to other planets and points in the partners' birth charts. The 12 houses are areas of life where he or she will bring good luck, or inspire their partner to take a "leap of faith." It's always good to have compatible sign connections by Jupiter to the Sun, Moon, Ascendant, Descendant, and personal planets between partners' horoscopes. Jupiter is a sign expands everything the astrological sign represents. Jupiter can be your guide to following your bliss and finding luck, abundance, and prosperity. If you're unsure of the sign and house your Jupiter is in, use the free natal chart generator on Astro Seek. If your Jupiter is in Aries, you're a true competitor who can rise to any occasion. You're the luckiest and most prosperous when you take the initiative to lead and inspire others. If you have Jupiter in Taurus, you're an unrepentant lover of luxury and sensual pleasures. You're the luckiest and most prosperous you share your good fortune with others. When you have Jupiter in Gemini, you have a genuine love of learning and sharing what you learn with others. You're the luckiest and most prosperous when you put others at ease your curiosity, wit, and friendliness. Home and family are everything when you have Jupiter in Cancer. You're exceptionally caring, protective and generous to those you love. You're the luckiest and most prosperous when you comfort others and making them feel at home. If you have Jupiter in Leo, you are a warm-hearted leader who inspires others. You're the luckiest and most prosperous when you promote playfulness in life. If your Jupiter is in Virgo, you have expanded skills of understanding patterns and taking bits of data and making sense of it. You're the luckiest and prosperous when you are using these skills to help and serve others. If your Jupiter is in Libra, you have expanded skills as a mediator. You're the luckiest and most prosperous when you promote the importance of equality. When you have Jupiter in Scorpio, you possess tremendous magnetism. You're the luckiest and most prosperous when you draw on your inner strength, courage, and magnetic powers. If your Jupiter is in Sagittarius, you are "Santa Claus." You're the luckiest and most prosperous when you're open-handed, generous, tolerant, inspirational, and spread joy. If you were born when Jupiter was in Capricorn, you have an expanded understanding of how the world works. You're the luckiest and most prosperous when you take an ethical and disciplined approach in realizing your goals. When your Jupiter is in Aquarius, you have an expanded need to be unique. You're the luckiest and most prosperous when you take the road less traveled and think outside the box. If you were born when Jupiter was in Pisces, you are incredibly spiritual, selfless, and attuned to the needs of others. You're the luckiest and most prosperous when you follow your intuitions and dreams. There are 12 astrological houses and each represents an area of life and is associated with a set of traits, things, and people. The houses begin with the self and expand onward to family, society, and beyond. The house Jupiter occupies is where you'll find your bliss, as well as prosper. Yes, astrologically you could say some appear to have a more significant potential for luck than others. There are those who are gifted by being born on the right date, in the right place and at the right time. An astrologer would say they have a well-placed Jupiter. Yet, some of these individuals often seem to have done little with their Jupiter talents and gifts. This is the lazy and lackadaisical aspect of Jupiter. Yes, you can have too much of a good thing. On the other hand, some individuals seem to have been born on the wrong date, in the wrong place and at the wrong time. Their birth charts give little indication of luck. An astrologer might say, their Jupiter is challenged. Yet, these individuals have worked hard (Saturn) to overcome the challenges in their lives and are always open to possibilities. When an opportunity presents itself, they seize upon it and enjoy the sweetness of success. In doing so they strengthen their Jupiter and become ever more optimistic and confident. Which, of course, brings more opportunities for success. 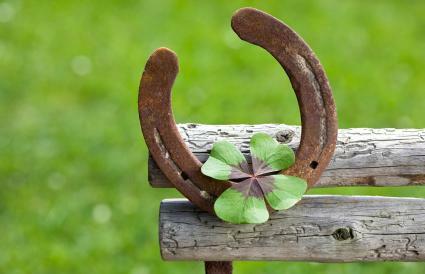 Whether you're born lucky or not, everyone has times in their lives when they can expect luck to come calling. Benefic Jupiter takes 12 years to complete one full cycle around your horoscope. You have a Jupiter return at age 12, 24, 36, 48, etc. and these are considered lucky years. 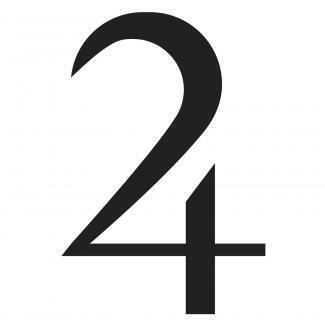 Additionally, during those 12 years, Jupiter spends one year in each sign, about that in each house, and makes many connections to the other planets and points in your birth chart. Opportunities do come along during a Jupiter transit even if you don't know you're having one. However, if you know your own personal Jupiter cycle and the opportunities it could bring, you'll be ready for those serendipitous moments when they arrive. Much of an individual's luck in life comes from knowing where to put their energy and then having the optimism and confidence to actually put it there. Studying Jupiter in your birth chart can reveal what's keeping luck a bay and it can also show where abundance and wealth can be found. A professional astrologer can give you the full scoop.